Give your child the gift of our unique nature immersion summer camps this year! Led by professional teachers on the land at TLC Farm and in the surrounding forest of Tryon Creek State Park, each day children participate in nature-based crafts and empowering activities such as gardening, food harvesting & preservation, herbal medicine making and more. 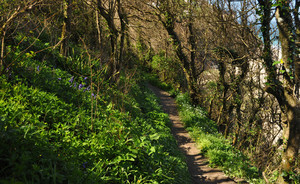 There is time each day to visit the goats and chickens, explore the forest, hear stories and sing songs. Both weeks of camp are Tuesday through Friday from 9:30am to 2:30pm, are open to 3-7 year olds, and cost $235. We provide a nutritious, organic snack each day and campers bring a lunch. To register, email Isobel@WillowCreekForestSchool.org. This week we focus on getting colorful! We will experiment with natural dyes, making rainbows and other nature-based color crafts accompanied by stories and songs. Each day also includes an organic snack, time visiting the chickens and goats, forest exploration time and free play. 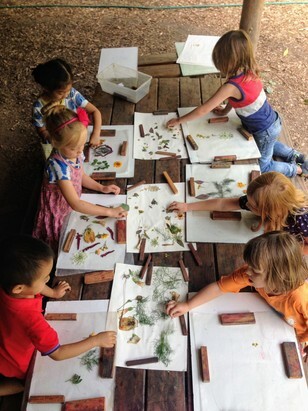 Willow Creek Forest School is TLC Farm's outdoor, place-based kindgarten for children 3-5 years old. Visit WillowCreekForestSchool.org for more information about enrolling in the 2018-2019 school year. Children enjoy a consistent daily rhythm in which they can allow their imaginations to blossom and be immersed in the magic of the forest, while learning to be good stewards to the land and each other. The flow of the day includes: crafts, homesteading skills, plant medicine-making, snack time provided by the school (including bread baked in the cob oven! ), circle time, plenty of time in the forest and special festival days – all guided by songs and stories inspired by the changing seasons on the land. School runs for 9 months, Tuesday-Thursday from 9:30am-1:30pm, with an option to add aftercare each day until 3:00. Visit WillowCreekForestSchool.org for more information and to enroll. About Teacher Isobel: Isobel has been working with children in various settings for 12 years, and has been living on the land at TLC Farm for five years. For the past two years, she worked with Mother Earth School while dreaming about starting her own program. She loves sharing this magical land with children!